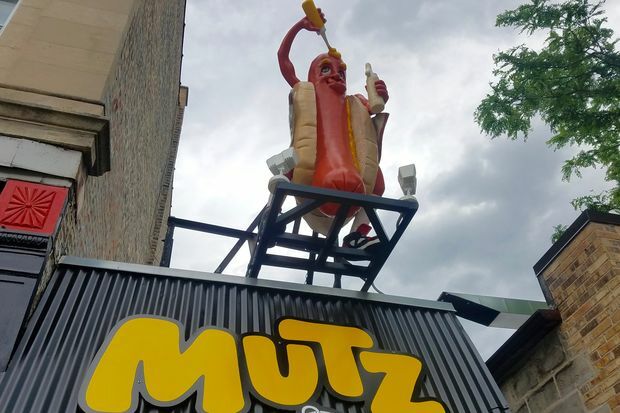 The hot dog above Mutz. 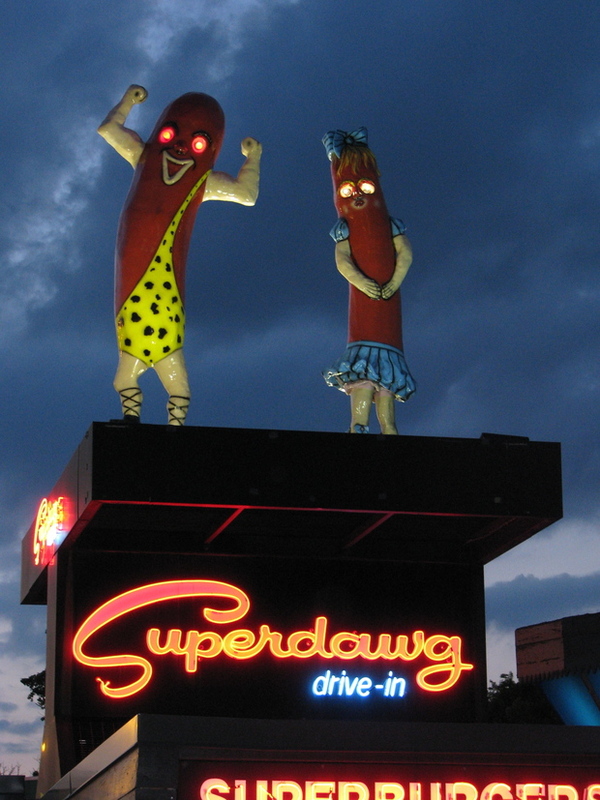 WICKER PARK — Watch out Superdawg, Wicker Park now has its own big hot dog overlooking the street, albeit a single dog. Installed this past weekend above the former Picante stand at 2016 W. Division St., the hot dog man is actively squirting mustard on his head. A few previously applied yellow dabs serve as the hot dog's eyebrows. The hot dog also wears a pair of retro red and black Air Jordan-like kicks. A tag hanging from the Mutz sign says "a breed of your own." 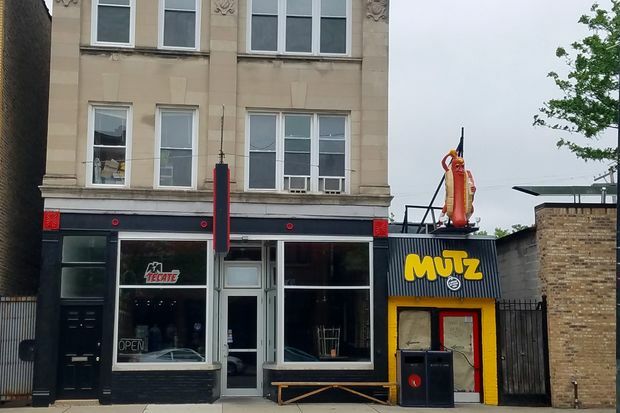 A worker at Picante Taqueria, 2018 W. Division St. on Monday said she did not know when Mutz, which will serve hot dogs, plans to opens. Picante's owner Felipe Caro could not be reached for comment. Last July, Caro told Eater that he was planning to replace the Picante stand with a late-night hot dog joint serving Vienna Beef hot dogs. Earlier this year, Picante moved next door into the former Delish Diner.